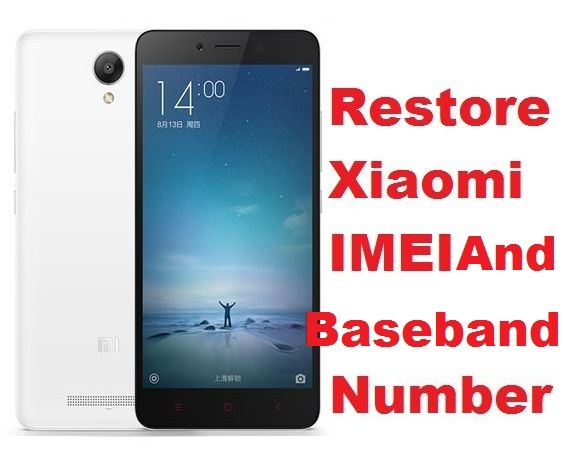 REDMI NOTE 3 AFTER FLASHING FAILED BASE BAND UNKNOWN AND IMEI INVALID I FLASHED WITH ... AFTER THAT I FLASHED SAME FILE WITH MIFLASH TOOL, FLASHIN SUCCESS BUT STILL NO IMEI AND BASE BAND UNKNOWN ANY SOLUTION ??? thanks for the file bro.i will keep this in case ill encounter this model.good job and thanks for sharing!! !